It is 9pm on a Friday in Silicon Valley. 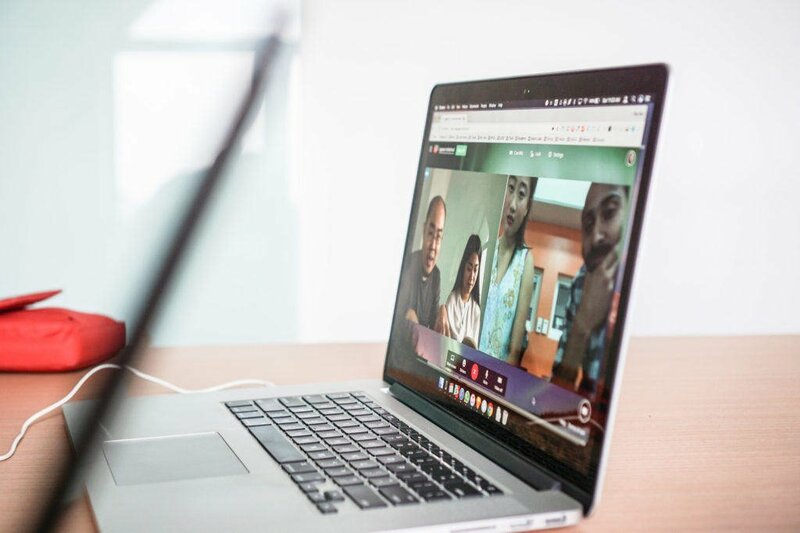 While most students at Stanford are getting ready to wind down for the weekend, ten students are huddled over a laptop or scribbling furiously on a whiteboard, listening to ten Malaysian students through a Skype call. They are trying to help a Malaysian ethical fashion social enterprise better reach potential customers. These students, based in Stanford and Kuala Lumpur, were all part of Stanford d.School’s 2017 Long Distance Design Course, “Global Design Thinking Teams Designing Together Remotely.” The course was a collaboration between Glenn Fajardo of TechSoup, Kal Joffres of Tandemic, and Zvika Krieger of the World Economic Forum’s Centre for the Fourth Industrial Revolution (previously the first-ever U.S. Department of State Representative to Silicon Valley and Senior Advisor for Technology and Innovation). The design challenge centred on Earth Heir, a Malaysian social enterprise. Earth Heir was founded in 2013 by Sasibai Kimis, a former investment banker. Her vision for the organisation is to have “luxury, style, design and fashion forged in an ethical manner.” Ethical Heir focuses on preserving heritage and craft and selling products that create livelihoods for marginalised people. Earth Heir products are produced with a minimal impact on the environment, and the enterprise is committed to paying fair wages to producers. Earth Heir products are created by craftspeople in Asia, ranging from traditional artisans to refugees. Mainstreaming ethical fashion remains challenging, however. While many people sympathise or identify with the social and environmental concerns behind ethical fashion, that hasn’t translated into changes in how people make purchasing decisions. While people’s aspirational and moral identities can play an important role in shaping behaviour, tactics such as exposing the social and environmental impact of the fashion industry have been been received in a lukewarm way. Jim Kalbach says doing design thinking using online tools is hardly a disadvantage. Going “digital first” or capturing data directly into digital tools such as Mural, comes with a number of advantages for design thinking practice. Students were put into small teams of four, with each team having two students in Stanford and two students in Kuala Lumpur. They were taught from both locations. In small groups, teams moved through the design thinking process together, interviewing, synthesising, and developing, and across the two locations. Through the class, participants explored different workflows for doing design thinking, sharing data, synthesising, and brainstorming. The class focused on both “synchronous workflows”, which happen when participants are online at the same time, and “asynchronous workflows”, where participants are not collaborating in realtime. 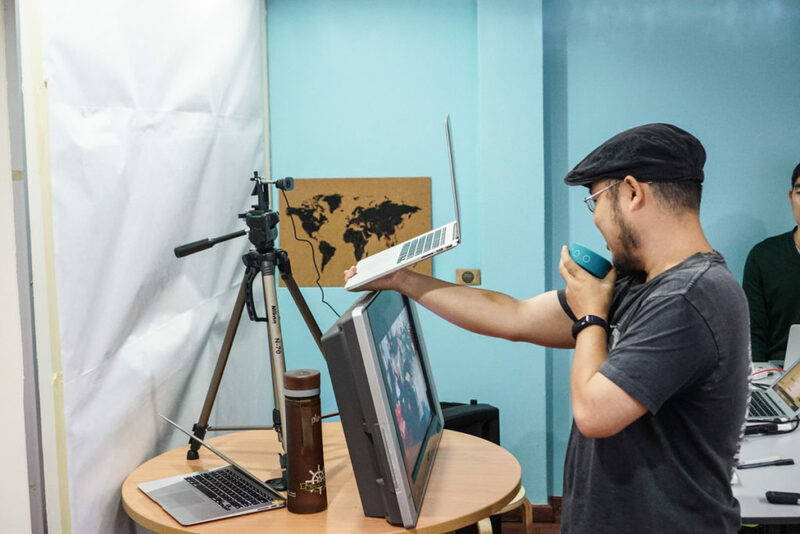 The class took advantage of time zones: while participants at Stanford were sleeping, participants in Kuala Lumpur were collecting data, and vice-versa. Ultimately, students produced new go-to-market strategies and landing pages for Earth Heir. The success of the course prompted the teaching team to do a second iteration of the class with a social enterprise in Thailand. You’ll read about it here next!